Slow slide shot of Happily ever after sign with red hearts around. Valentines day. 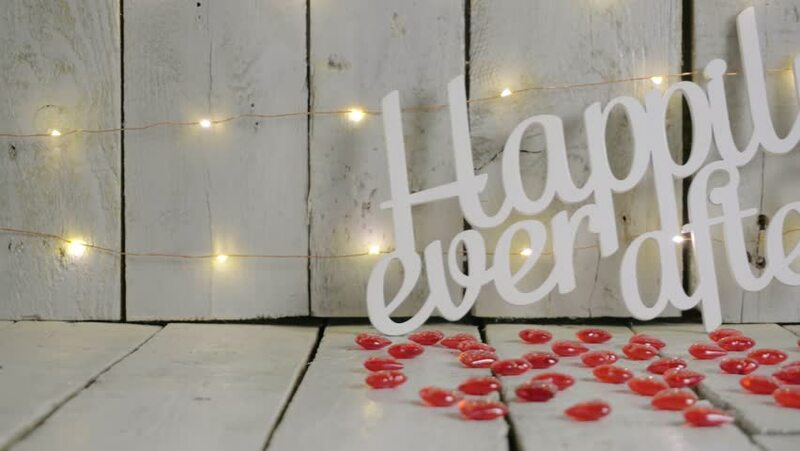 4k00:29Happily ever after sign with red hearts around and candles lighted up. Lights on backround. Valentines day. 4k00:33Love sign with red hearts around and candles lighted up. Lights on backround. Valentines day. hd00:19Moscow, RUSSIA - April 6, 2017: Budweiser beer global brand. Dolly video. Budweiser Lager Beer is the flagship product of Czech Republic.